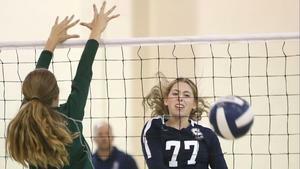 CCHS Girls Volleyball Making Headlines! Varsity won 3-0 Tuesday, September 18th vs. CMHS in a battle for 1st place in the Orange Coast League. Check out CCHS sports news & achievements in the Athletes in Action section, all college signings in the Eagles in College section, and Summer Youth & High School Camps under the Athletic tab. CURRENT 9th-12th grade starting May 29th...Read full story for registration details! CIF State Champion & New Record Holder! Congratulations to CCHS Swim's Andrew Koustik! Baseball & Softball Advances in CIF! Track Medals in League Finals & Advances to CIF-UPDATE! Ellie Radmilovich set to compete at CIF Finals, Saturday, May 19th! CCHS Swim Advancing to CIF! Finalists competed in CIF Qualifiers Saturday, May 12th at Riverside Community College. Boys Volleyball Advances in CIF! 2nd Round CIF at Arcadia HS (AWAY Game) Thursday, May 10, 2018 @6:00 PM. CCHS Swim - Koustik Making Headlines! Andrew Koustik joins elite company in butterfly! Adam Axtell pitched an amazing game versus Costa Mesa HS!